The recent Leaders in Construction UAE Summit 2016 discussed austerity topics, such as the implications of low liquidity in the industry, cash flow, uncertainty, long-term stability, payments. All a bit dreary. However, there were plenty positive quotes from industry leaders, such as: “It’s still a difficult market, but the reason we’re all here is that there’s definitely opportunity,” (Mott MacDonald’s Chris Seymour) and “I’m very optimistic for the next few years,” (Arcadis International’s Ian Williamson). To myself, the UAE’s construction industry is really just beginning to sound like a normal, mature market, where there are prospects and opportunity, but it isn’t as easy as bygone days. Employees and indeed company owners now need to work that bit harder to ensure they are successful and beat the competition to the job, tender or even the golden meeting with the key decision maker. Interestingly, the Leaders in Construction UAE Summit 2016 also held a session on ‘the crucial role effective branding can play in helping a business stand out from its competitors’. As the owner of a growing marketing communications agency in Dubai, an unusual thing has happened within our agency. Traditionally a generalist consultancy, we represent everything from global insurance companies to loyalty cards, currency exchanges and MEA electronics suppliers. However, over the past six months, the number of clients we work with in the construction-related industry has rocketed from zero to over half our business. We now represent sectors including: cost consultants, project managers, architects, temporary structures, facilities management, MEP, real estate and even a construction law firm. I believe one of the main underlying reasons for our continued success in the sector is:construction-related companies now have the time and incentive to invest more in getting their unique messages out to the right people through brand awareness, thought leadership and lead generation activities. I recently met with a construction services company CEO, who directly told me he is looking to invest more time on these measures, as he now feels the time is right to work a bit harder to let the market know about the fantastic things they have been doing as a company, helping new business as a result. He asked me to come in and explain howIHC’s clients are finding the work we do for them (across PR, Digital and Social) effective in terms of improving their bottom line. It is not a tough sell. Some of our construction industry clients have landed multi-million contracts through the work we have been doing to elevate their brand. This is not just helping them through trickier economic conditions, but actually winning some of the biggest contracts in their history. Through generating powerful media articles, creative content marketing and solid, consistent digital advertising, we are pushing our clients’ messages onto the handsets and laptops of their actual target audience – the decision makers. We like to call this strategic and targeted PR, with additional push out over social marketing channels: ‘PR+’. The feedback from clients is they are seeing their articles being clicked by the audience they want to be reading their key messages. They are even receiving comments from existing and potential clients giving thanks for the ‘informative piece’ or congratulating them on their Industry, Corporate or Product news. Most importantly, of course, clients see a tangible ROI in the form of new business enquiries. An example is a global project management company we represent across the Middle East. The regional director called me and animatedly explained how he had just had an extraordinary moment in a multi-party meeting. A key decision maker from one of the UAE’s main developers approached him to say he enjoyed reading his industry magazine article, which we reposted and advertised on LinkedIn. This key person hadn’t engaged with him before, never mind thank him for putting together an interesting thought leadership piece. Fast forward six months and the client has just landed its biggest ever contract with – you’ve guessed it – the very same developer. 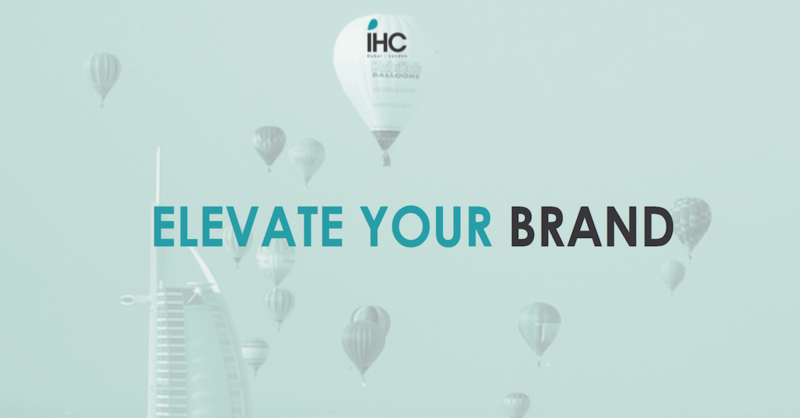 IHC is an integrated communications agency, operating in Dubai and London, contact dubai@ih-c.com +971504661368 for a free consultation, or browse www.ih-c.com for more information.